Battle Creek sees Dean Winters play the cynical detective Russ Agnew and Josh Duhamel, the silky-smooth special agent Milton Chamberlain. Moving away from the glamour of New York and Washington, the small Battle Creek, a little town in Michigan, is where the drama unfolds. Speaking of what he liked most about the show, Duhamel says, it was the fact that it is a a�?throwback old-school cop showa��. a�?I play an FBI agent whoa��s setting up a satellite office in small Battle Creek. We work together with some of the local detectives in this underfunded run-down department. So my character has all the resources in the world and this poor police department has almost nothing,a�? he says. Based on the novel Pines by Blake Crouch, Chad Hodge creates Wayward Pines, a mini series which stars actor Matt Dillon. Roping in M Night Shyamalan as one of the executive producers, it sees Dillon as a US Secret Services agent Ethan Burke, who is investigating the disappearance of two federal agents in the mysterious small town of Wayward Pines. Elaborating on the plot and why he was drawn to the script, Dillon says, a�?I like a good mystery coupled with Night. I liked his way of telling the storya�� I wasna��t interested in a TV series, but this is a limited series in a longer format, so you can kind of grow with the character.a�? Reminiscent of the nondescript villages from Shyamalana��s films Signs and The Village, it is meant to be a stark contrast to the disturbing and horrific themes and sub-plots. And while the town seems lazy and easy-going, the happenings end up making Dillona��s character question his own sanity. It also stars Terrence Howard. To premier on Star World Premiere later this month. Former Doctor from Doctor Who Christopher Eccleston, takes on the role of brooding former police officer Robert. While he moved to the Lake District, in the most dreary part of Cumbria, to start a B&B and life with new wife Katy (Marsha Thomason), youa��re made to understand that hea��s haunted by a past crime. Apart from the sodden landscape, with thin mist rising eerily over lake Coniston Water, adding to the drama, the fact that he is suddenly charged with protecting a family under threat from a murderer/kidnapper makes the crux of the show. Multiple plot lines thicken when the blame game begins, and each one suspects the other. Safe House was filmed on the lake side, the same area to make the news in the real murder of Carol Ann Park, the victim in the notorious Lady In The Lake murder trial of 2005. 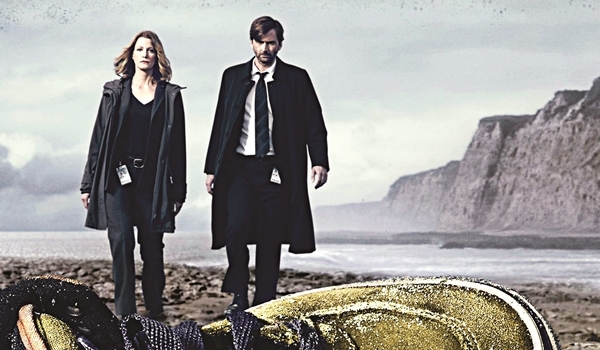 The American version of the UK drama series, Broadchurch, this one takes the action to the little seaside town of Gracepoint. Starring Anna Gunn as detective Miller with David Tenant, (famous as Doctor Who (and also the lead on Broadchurch), playing detective Carver. They investigate the death of a young boy, and when the incident sparks off media frenzy, the plot thickens and the little town is sent into chaos that cannot be easily handled. a�?Ita��s part of what makes this story so compellinga��that this awful murder fractures the community. These people have been living so close to each other and yet have been keeping so many secrets from each other,a�? says Tenant. This show combines the feel of Twin Peaks and the vibes of Fargo to give you an icy cold (literally) whodunnit, in the land of the Northern Lights. A psychological thriller, Fortitude is a fictional community located on Svalbard in Arctic Norway, with only 800 inhabitants and four police personnel. 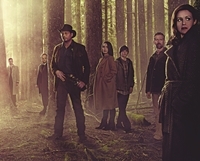 The series kicks off when detective (Stanley Tucci) from Londona��s Metropolitan Police is flown in to aid the local sheriff, played by Richard Dormer, to investigate a murder. With fingers being pointed at each other in a close-knit community, this one is so gripping that ita��s even been renewed for a second season.